Another wonderfully wacky White House week — this time involving wind turbines. It all began when President Trump, blurted out in — in public — that wind turbines cause cancer. Yes, he said that. And that, of course, is absurd. Suffice it to say there’s no evidence to support Trump’s claim, which was widely mocked and ridiculed by everyone from Chuck Grassley to Stephen Colbert, Vox reported. But instead of simply acknowledging that Trump was wrong and moving on, a top White House communications official on Wednesday refused to contradict the president. During an exchange with reporters, White House Director of Strategic Communications Mercedes Schlapp pretended as though there might be some basis to Trump’s claim. A reporter followed up by asking Schlapp if she has anything to say “to American families that are concerned today that the president says wind turbines cause cancer.” She again demurred. “I don’t have information on that; if I get a readout, I’m happy to update you on that,” she said, before walking away. The Lincoln Journal Star reported that the average recovery from a flood the size and scale of the historic event affecting areas of Nebraska extends a little more than nine years, according to the Federal Emergency Management Agency. Early damage estimates to property, farm operations and infrastructure resulting from the “bomb cyclone” on March 13-14 and the resulting blizzard and flooding totals nearly $1.4 billion. Items donated for victims of the recent flooding and collected by the NDP were delivered today to the Ponca Tribe of Nebraska. Thanks to all who helped! If you still want to help or need help, we’ve compiled a list of organizations and resources for you. We’re looking forward to NDP’s Salute to State Senators on Monday. Goldenrod Printing; Blue Cross Blue Shield Nebraska; Nebraska Credit Union League; O’Hara Lindsay Government Relations; Boilermakers Local No. 83; National Association of Insurance and Financial Advisors-Nebraska-NAIFA-Nebraska; Shirts 101; Brotherhood of Locomotive Engineers and Trainmen – BLET/IBT PAC; Tenaska and Peetz & Company; Nebraska State Education Association (NSEA); Cox Communications; Union Pacific Railroad; Laborers’ International Union of North America Local 1140 (LiUNA); Aflac; Mueller Robak, LLC; Omaha Professional Fire Fighters Association, IAFF L385; Radcliffe & Associates; Nebraska Optometric Association (NOA); International Brotherhood of Electrical Workers (IBEW) Local 22; Black Hills Energy; NextEra Energy Resources; CenturyLink; Kelley Plucker, LLC; Heartland Strategy Group; First National Bank of Omaha and Greater Omaha Chamber; BNSF Railway and Kissel Kohout ES Associates LLC; American Communications Group USA, Inc.; Nebraska Bankers Association; and Nebraska REALTORS Association. 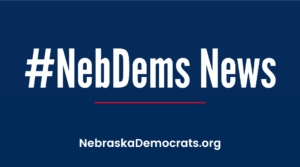 Our State Central Committee meeting in Lincoln last weekend was a huge success, with members approving the new Secular Caucus. Chris Janicek and Dan Wik, U.S. Senate; Kara Eastman and Ann Ashford, U.S. House District 2; Bob Krist (who announced he is running for Governor in 2022; Leirion Gaylor Baird and Jeff Kirkpatrick, Mayor; James Michael Bowers, City Council Ward 1; Megan Stock, City Council Ward 3; Tammy Ward and Cassey Lottman, City Council Ward 4; and Aurang Zeb, Lincoln Airport Authority. Please consider becoming a monthly donor. 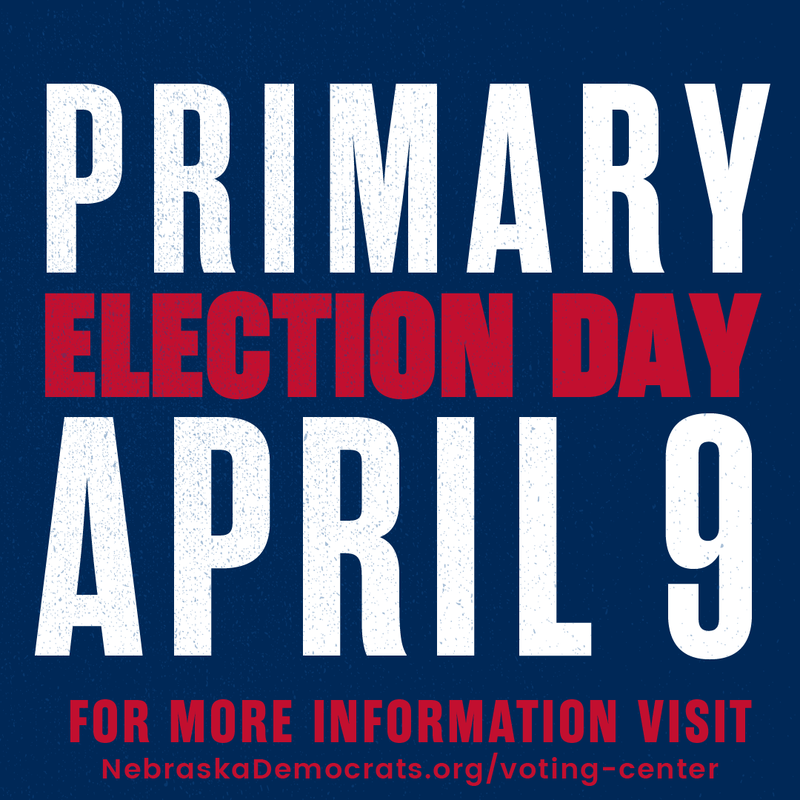 The City of Lincoln Primary is Tuesday! Make sure you vote early or on election day! You can see all the Democratc candidates here. We finish this week with a rendering by Kevin Siers of The Charlotte Observer, who like us, wonders if Attorney General Barr’s summary of Special Counsel Robert Mueller’s investigation into the 2016 election might have been a bit dismissive of the facts and light on details.